Lauryn is a qualified Myotherapist and Remedial Massage Therapist. 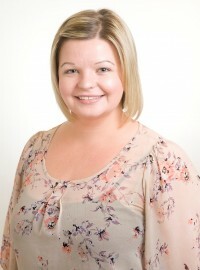 She has been with Berwick Physiotherapy since 2010. Lauryn started off practicing as a remedial massage therapist in 2006, then graduated from the Southern School of Natural Therapies after completing a Bachelor of Health Science – Myotherapy in 2010. Common conditions that Lauryn can provide management for include neck, shoulder and back pain, headaches and migraines, and she has a keen interest in the management of chronic pain and pre or post natal conditions. Lauryn enjoys working in conjunction with the physiotherapists, to provide patients with the best care and to help achieve optimum results, and she is available at both Berwick Physiotherapy and Pakenham Lakeside Physiotherapy for either 30 minute or 60 minute consultations.